The cultivation of cannabis is becoming a common practice, and many people are enjoying growing their own. The quality of the marijuana produces by home growers is all across the board for a variety of reasons. The knowledge and skill of the grower, the functionality and conditions in the grow space, and the cannabis genetics used can all play a big part in the overall success of any cultivation project – and having the right tools at your disposal can make a big difference. Not everyone has the inherent ability to grow high-quality cannabis, but most people can master the basic skills to do so with only a little effort. The truth of the matter is that cannabis is a very resilient plant and growing it is not difficult compared to growing some other types of plants. Often, it’s only a small oversight or detail that needs adjusting to put a frustrated grower on a track for success and a booming harvest. The small details sometimes get overlooked, which sometimes means nothing and other times can be the difference between success and failure. Let’s identify some of the most common details cannabis growers—especially beginners—get careless about or overlook. Then we’ll examine the solution, which usually involves some tool or other equipment. Too many people overlook water quality when growing cannabis. Whether you’re growing with city water out of the tap or well water, you should test your water for pH and PPM (parts per million). Your water may need adjusting with either a pH reducer or booster. Water that’s out of balance can hinder nutrient uptake by the plant, regardless of whether the nutrients are high quality. Speaking of nutrients and soil additives, some of the liquid additives contain solutions that automatically adjust any imbalances in the water. To determine your water quality, you will need a pH meter. There are many of them on the market, and they don’t cost very much. If your water needs adjusting, you’ll need a pH booster or pH reducer. Another alternative is to purchase a nutrient mix that contains water adjusters. 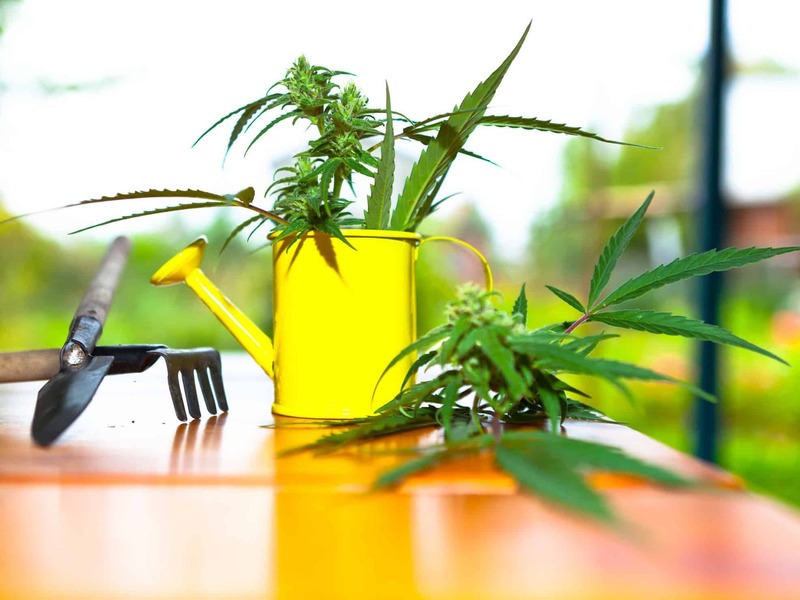 Research your plant nutrients carefully. Providing the correct amount of water is vital to growing good cannabis. Many beginning growers water too much or too little—but usually it’s too much. The best possible thing these beginners can do is leave the plants alone and not hover of them excessively. More water is not necessarily better. The soil surface should be completely dry at the surface and slightly deeper before watering is necessary. Depending on where you live and the humidity and temperature, you may need to water every day or just every two to three days. Besides watering too frequently or infrequently, the next water-related problem results from improper drainage from the pots used. When watering, you want to see about 25 percent of the water drain from the many holes at the bottom of the pot. You can’t grow cannabis in a bucket or another vessel that doesn’t have a large number of holes for water drainage. Water that collects the bottom of a bucket with no way to drain begins to get stagnant and results in root disease. The plant will never thrive as a result. If this is the case, purchase some good pots immediately and transplant as soon as possible. Air pots are great for root development and make watering too much nearly impossible, although you may have to water more often. Consider using some, because they work very well for growing marijuana. Did White Powdery Mildew Ruin Your Grow? People grow cannabis in a wide range of places, and the plants need room to spread out and grow in a well-ventilated area with proper humidity. If white powdery mildew strikes a grow, it’s a huge disappointment, but most often it was preventable. High humidity is usually the culprit. Some people try to grow cannabis in small spaces that are confined and don’t have much access to fresh air. Most commercial grow tents and cabinets have ventilation systems built in that provide adequate ventilation and air circulation, but sealed closets and other confined areas with poor air circulation are not the best place to start a grow. Some small spaces can get very high in humidity, especially right after watering. Either invest in a grow tent or relocate your plants to a more spacious growing environment. There are homemade treatments for white powdery mildew that contain household items like milk, mouthwash, and baking soda that work pretty well. Another option is to mix a solution of SM-90 and water at a ratio of 1 part SM-90 to 5 parts water. Then use a clean spray bottle to thoroughly mist your plants shortly before the lights go off. Be sure to spray all areas of the leaves and plant. This solution is safe to use at all stages of plant growth, even flowering. If you live in an area with high humidity, purchase a humidity meter. You may have to buy a dehumidifier to lower unacceptable humidity levels. If you don’t already run a fan in your grow area, definitely purchase one. They don’t cost very much and provide vital air circulation. In no time, white powdery mildew should be a distant—but no doubt unpleasant—memory. Does Your Plant Have Yellow Leaves? Yellow leaves on cannabis plants can mean many things, but it’s never a good thing. If you decided to purchase a pre-loaded soil mixture and were under the impression that you never needed to add additional nutrients, guess again, think again. As great as some of these soils can be—particularly the organic ones—the nutrients already mixed in when you purchase it will eventually feed the pant and flush from the soil through the process of watering. Eventually you will have to purchase a high-quality nutrient mixture—or a combination of mixtures—and feed your plants. Mixtures by companies like Fox Farms and Vegamatrix work very well for growing marijuana. Follow the recommended dosages, or even slightly less. For the best results, never feed more than the label’s instructions. Yellow leaves can also result from temperatures that are too high. Adjust the height of your lights if necessary. Does Your Flower Lack Flavor and Potency? This may seem like an odd question, and the criteria for rating the quality of cannabis varies widely, but if you’re unsatisfied with your flower potency and flavor, consider the most obvious reason: genetics. If you used bag seed for your grow, you can expect anything from good to bad will result. Likewise, if you received some seeds from a friend, they might not be what you need to grow top-shelf bud. There are a huge range of cannabis seeds on the market, and new strains come out every month. If you live in a legal recreational cannabis state, you can probably buy clones as well, so that’s another pption. Cannabis production in the United States is at an all-time high, so there are many choices available to you from one of the many cannabis seed banks or brokers. Good cannabis genetics do not come cheap, so shop wisely. Growing high-quality cannabis is not difficult, but it does require a close eye and proper planning. Often, it’s the small things that get overlooked that can result in problems within cannabis gardens. Due diligence on your part is the solution. Much of the time, a solution is only a small alteration to common practices, but it can mean the difference between a successful harvest or no harvest at all.